I'm also not seeing the module. I had just assumed it wasn't deployed to the module repositories yet. I'm on 10.13.66-17, when grepping the module list for rmsadmin I get no results returned. @adolfoc, When you do a check online for updates via the GUI, you still aren't seeing RMS? Keep in mind in the GUI it will show as Remote Monitoring System and the module must first be installed from Module Admin. You can also check from the command line by doing the following fwconsole ma listonline | grep rmsadmin. If that's not working for you still can you please provide the output of cat /etc/schmooze/pbx-brand? Correct. either in the WebGUI or CLI, RMS or Remote Monitoring System does not appear. 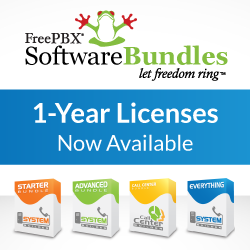 The PBX-Brand is "CyberLynk". That is who hosts my VPS of this FreePBX instance. Can you try checking again online for me, as I made a change on our end which should help this show up for some systems that were having issue previously. I'm going to close out this topic so that things don't get lost between the various conversations. If anyone has any new issues or existing issues which you feel aren't resolved can you please create a new topic over in our RMS category of the forums.